A deceptive forgery. The dots in the upper right and left corners are mostly missing. The lines to the right of the central figure are of differing lengths and some touch the right margin. The downward stroke of the second ‘R’ in ‘CORREOS’ touches the bottom left of the ‘E’. The castle in the top left corner of the shield is quite crude with lots of broken lines. The teardrops in the bottom right and left corners are of differing length and thickness. A very crude imperforate forgery that is easily distinguishable. 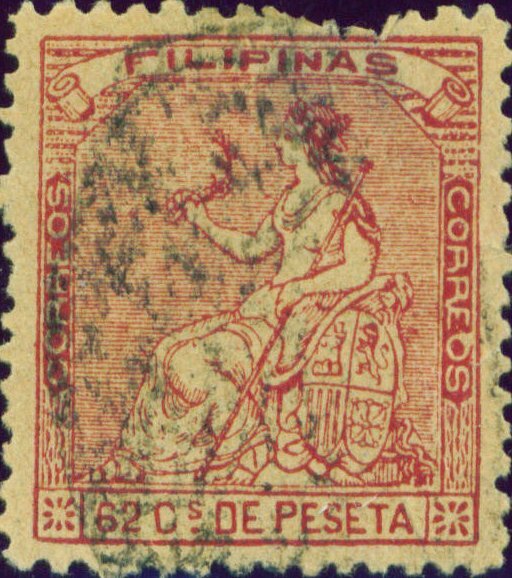 Stamp has simulated perforations. 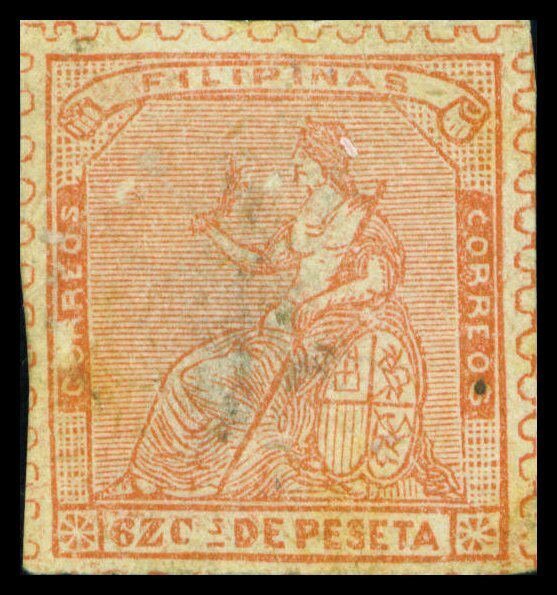 The top right and left corners comprise of small squares compares to dots and fancy lines in the genuine. The designs in the shield are very roughly drawn. The value is reads ’6Z Cs’ instead of 62 Cs’.